NJB Article and Source Repository: The Problem with Trump as CEO of America: Government Is Not a Business. By Fareed Zakaria. The Problem with Trump as CEO of America: Government Is Not a Business. By Fareed Zakaria. 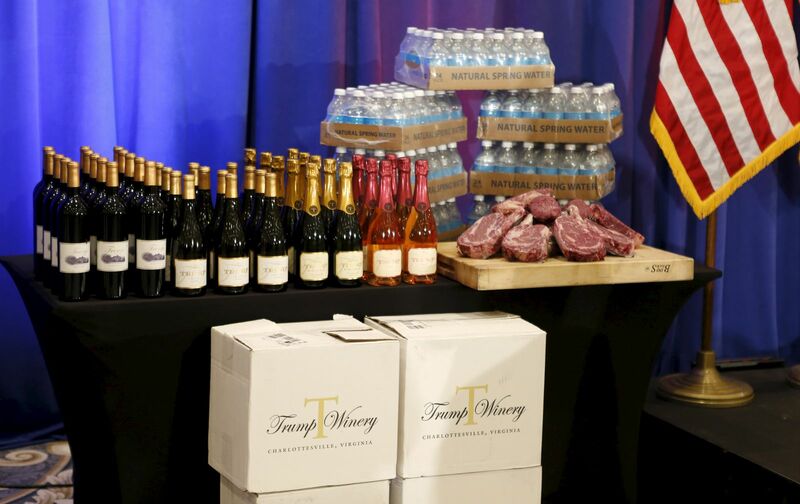 A display of Donald Trump-branded products at a press conference after his March 8 Florida Primary victory. Reuters/Joe Skipper. The problem with Trump as CEO of America: Government is not a business. By Fareed Zakaria. Washington Post, May 5, 2016. At the heart of Donald Trump’s appeal is his fame as a successful businessman. It’s why most of his supporters don’t worry about his political views or his crude rhetoric and behavior. He’s a great chief executive and will get things done. No one believes this more than Trump himself, who argues that his prowess in the commercial world amply prepares him for the presidency. “In fact I think in many ways building a great business is actually harder,” he told GQ last year. He then noted that a big difference between the two realms is that no political leader, not even the president, has the kind of authority every corporate chief does. CEOs can hire and fire based on performance, pay bonuses to incentivize their subordinates, and promote capable people aggressively. By contrast, Rubin pointed out that he had the authority to hire and fire fewer than 100 of the 160,000 people who worked under him at the Treasury Department. Even the president has limited authority and mostly has to persuade rather than command. This is a feature, not a flaw, of American democracy. Power is checked, balanced and counterbalanced to ensure that no one branch is too powerful and that individual liberty can flourish. It is no accident that Trump admires Vladimir Putin, who doesn’t have to deal with the complications of modern democratic government and can simply get things done. This displays an astonishing lack of understanding about the world. The United Nations can’t end conflicts because it has no power. That rests with sovereign governments (unless Trump wants to cede U.S. authority to U.N. Secretary General Ban Ki-moon). The notion that all it would take is a strong U.S. ambassador to shake up the U.N., end conflicts and “win” is utterly removed from reality. Yet it is a perfect example of business thinking applied in a completely alien context.